In honor of the third anniversary of Prince’s passing on April 21, Paisley Park will celebrate his legacy with several events and tributes. Beginning Thursday, April 18, fans touring Paisley Park can once again place memorial messages on a special Prince4Ever tribute fence within the interior grounds of the property. The fence will display many of the fan-donated memorial messages and artifacts that have been archived in the three years since Prince’s passing. Messages added this year will be archived and preserved by Paisley Park, adding to the massive collection of thoughtful tributes to date. On Sunday, April 21, a special “Paisley Park After Dark” DJ Dance Party will be held from 6 to 11 pm with DJ Michael Holtz in the NPG Music Club Room. Like other Paisley Park After Dark parties, the entry fee includes a tour of the museum. 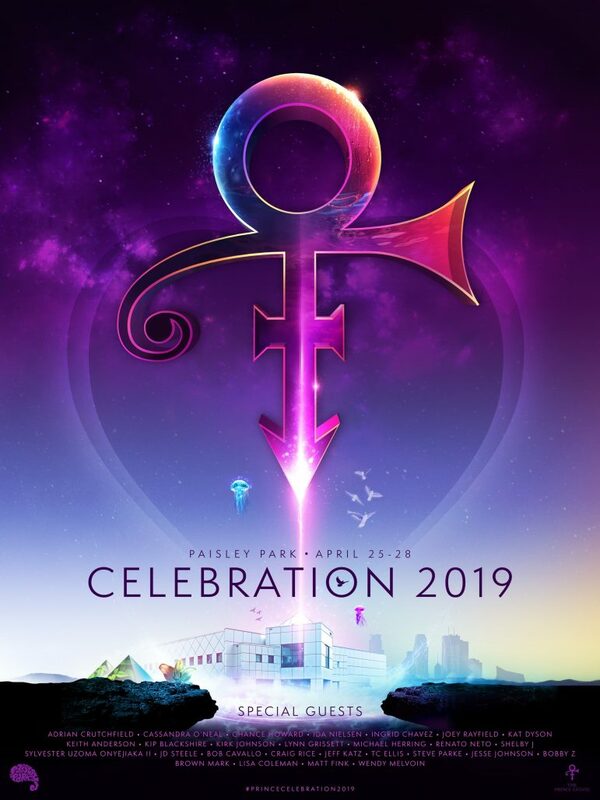 From Thursday, April 25 through Sunday, April 28, the estate will welcome fans from around the world for Celebration 2019 to enjoy four days of live music, concert screenings, panel discussions and special presentations highlighting Prince’s tremendous talent, influence and importance as a composer, musician, producer, live performer and filmmaker. Paisley Park will also be hosting a special concert event titled PRINCE: In Concert on the Big Screen at The Armory on Friday, April 26 at 8 pm. The show will feature newly remastered and never-before-released audio and video of Prince accompanied live on The Armory stage by an all-star ensemble of musicians who performed alongside the icon throughout his storied career. Attendance to this event is included with a Celebration ticket or can be purchased individually. Steve Floyd/MSR Minneapolis buildings and landmarks have gone purple to honor Prince every year after his passing. Finally, in celebration of Prince and the show at the Armory, Minneapolis landmarks will join Paisley Park in turning purple on Friday, April 26. Buildings and landmarks scheduled to turn purple include the I-35W Bridge, IDS Center, Target Field, and Hennepin County Lowry Avenue Bridge. Paisley Park once again encourages cities and landmarks around the world to join in this purple tribute by lighting buildings, bridges, and landmarks purple throughout the week! Fans are also encouraged to wear purple and upload pictures to social media using #PrinceCelebration2019. Tickets for Celebration 2019, Paisley Park After Dark, and PRINCE: In Concert on the Big Screen are still available for a limited time at www.officialpaisleypark.com.